Whether your tastes are in eyeball-slicing avant-garde films or slope-shredding ski spectaculars, local screens have you covered this week. At Burlington’s Main Street Landing Film House, Burlington Film Society and the Vermont International Film Foundation presents one of the year’s most acclaimed and talked-about documentaries. 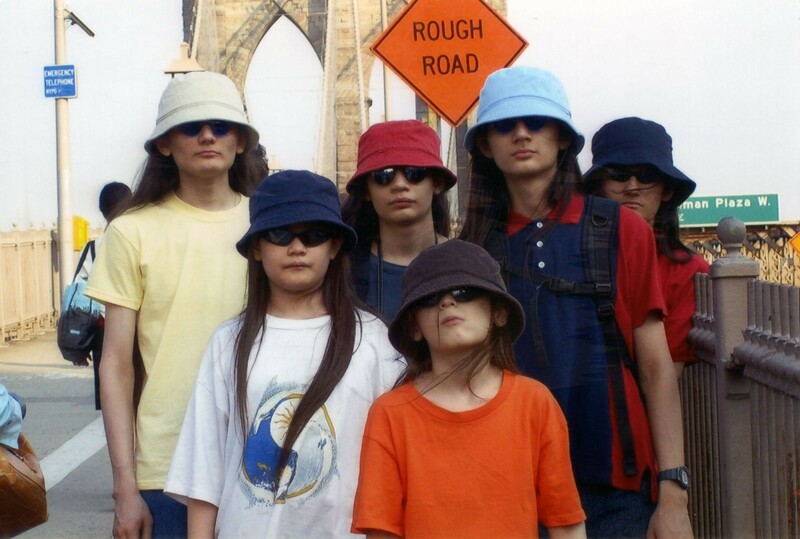 The Wolfpack, which tells the story of a group of homeschooled, home-bound brothers who were essentially raised by the movies they watched, has been stunning audiences and critics all over the world. The show starts at 7 p.m.; tickets are $8. Once The Wolfpack is over, you’ll still have time to dash over to ArtsRiot on Pine Street for the latest installment in the series “Cinema Casualties.” Tonight’s offering is Larry Cohen’s 1982 campy cult classic Q: The Winged Serpent, starring David Carradine and Michael Moriarty — and a totally awesome animated dragon-thingy. The screening is free; a charity raffle benefits the Vermont Community Garden Network. At the Howe Library in Hanover, N.H., there's a free screening of a beautifully curated series of fine experimental films from the 1920s. Film archivist, collector and historian Bruce Posner, who put together the terrific Unseen Cinema collection, has compiled another series of cinematic masterpieces from outside the mainstream. “Masterworks of American Avant-Garde Experimental Film, 1920-1970” is a four-disc Blu-Ray/DVD box set, but it also takes the form of a traveling film-museum exhibit. A 7 p.m. screening, which focuses on films of the 1920s, is the first installment in an ongoing series at the Howe that highlights the films of this new collection. Subsequent screenings will present experimental films of the other decades represented in the collection; the series culminates with a talk by Posner on October 26. Masterworks of American Avant-garde Experimental Film 1920-1970 Trailer from Flicker Alley on Vimeo. Avant-garde films of the 1920s merit special recognition, as it was then that the language of experimental cinema was developed. Some of the films in Monday’s program — such as Dudley Murphy’s and Fernand Leger’s Ballet Mécanique, Marcel Duchamp’s Anémic Cinéma and Robert Florey and Slavko Vorkapich’s The Life and Death of 9413: A Hollywood Extra (the last of which has been written about in Seven Days’ “What I’m Watching" column) — demonstrate the excitement and vibrancy of a cinematic era that reveled in breaking every rule in the book. Finally, this night marks the premiere of the latest ski film from local outfit HG Skis. "Children of the Guan" — a title that, to this non-skier, evokes nitrogen-rich bat poop, though it surely means something else to those in the know. The film showcases the acrobatic and terrifying feats undertaken by a small group of ski-crazy young men. You think you’re touch because you can ski the black diamond trails? These guys ski on staircases, parking ramps and buildings — pretty much any sloped, horizontal or vertical surface, so long as it’s got a little bit of snow on it. Check out the trailer below to see what we mean. “Children of the Guan” plays at Burlington’s ArtsRiot for $5. Doors open at 6 p.m., when DJ Crusty Cuts commences spinning; an evening of raffles and giveaways is capped by the film screening at 9 p.m.
HG Presents: Children of the Guan TRAILER from HG Skis on Vimeo. The Wolfpack is not showing in any theaters in the area.